BX: I don’t want to scrap it! – HubNut – celebrating the average! BX: I don’t want to scrap it! With the BX Mk1 moved on to pastures new, it’s allowed me some breathing space with the Mk2. Both BXs run out of tax this month so I was facing some difficult decisions. Taxing both of them was not an option. Happily, I now only own one BX and come payday, I should actually be able to afford to tax the thing. I’d been getting very downbeat about it (my moods do swing rather!) because it’s quite rotten, has occasionally-intermitted power assisted steering and needs a cambelt and (before took long) a clutch. In fact, the To Do list was looking scary enough for me to consider this an End of Life vehicle. Problem is, I keep driving it and when the steering is working, it’s a bloody good car. It can easily achieve 50mpg, is incredibly comfortable and has a simply massive load capacity for its size. It seems wrong to throw away a car that works so well. Yes, it’s covered over 189,000 miles, but that’s barely anything for a BX diesel! With this in mind, I’m going to get some quotes to sort the bodywork out (though one place has already refused!). The cambelt is a fiddly but easy enough job, that should cost less than £50 once all parts are taken into account (water pump and tensioner). The clutch can wait as it’s not actually slipping yet. The clutch and cambelt are worth doing because even if the car is ruled too rotten for salvation, the engine and gearbox could well come in useful for something else. I’m hoping a refresh of the LHM will cure the steering issue. Again, not a difficult or expensive job – unless it proves not to be successful! I do have a spare pump (that I really should pay my friend Justin for…) which could be another culprit. As good as my new Bluebird is, it can’t compete with the driving dynamics of the BX in my opinion. 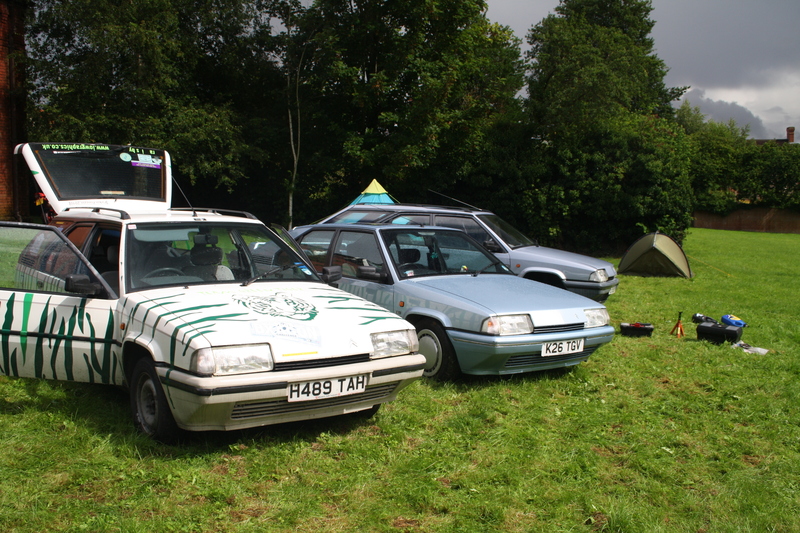 The BX always seemed to do well in comparison tests and rightly so. It has rather good handling, a superb ride, a competition-thrashing engine and good equipment levels. It may sound odd, but I reckon that the 1.9-litre XUD diesel engine is the best engine ever fitted to these cars. Sure, the GTi engines (especially the 160bhp 16v) are good fun, but they require a track really to fully extend them. With 71bhp, I can drive foot-to-the-floor in my BX pretty much all day. The performance isn’t that strong, but it’s not bad either, and the worst MPG figure I’ve managed is 48. That’s remarkable. There’s also the point that I’m rather attached to this BX. I bought it in 2009 for a banger rally and should never have sold it. It came back to me unserviced and broken, but has responded well to a bit of TLC. 2CV aside, this BX could be the best car I’ve ever owned. Cool. All the best with that Tim! I feel rather spoilt for choice with garages around here at the moment. lol i bet i thought i would let you know i am also offering 4×4 repairs as i trained in them for years not many garages know what they are doing with them lol how is the car collection doing?